Mr. President, we welcome the High Commissioner’s update. We are pleased to hear about positive developments that several states have made in granting access to Special Procedures. 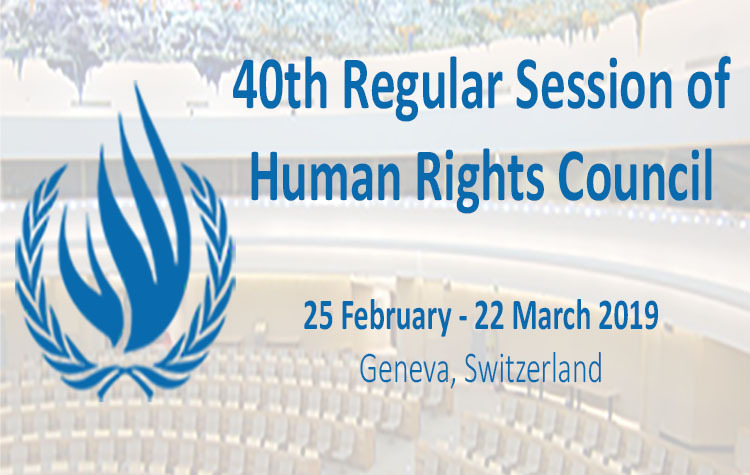 However, we deeply regret that this is not the case for the Philippines, a member of the Human Rights Council, which has refused access to the Special Rapporteur on extrajudicial executions, in spite of the thousands of killings in the Government’s ongoing ‘war on drugs’, and the lack of independent and impartial investigations in the country. We are further concerned that the lack of cooperation with Special Procedures has been further compounded by the Philippine President’s threats and verbal attacks against several mandate holders and the High Commissioner himself. In the absence of cooperation with Special Procedures, we call on the Council to establish an independent international investigation into extrajudicial killings in the ‘war on drugs’ in the Philippines. As this was the last update of the High Commissioner to the Council, we would like to express deep appreciation for his hard work and dedication over his four-year term, and the attention he has drawn to threats to human rights defenders and their work in the Philippines. We call on the Council to follow up on this work by mandating the OHCHR to monitor the deterioration in the situation of human rights and attacks on democratic institutions, as well as the Philippine Government’s moves toward authoritarianism, and ask the OHCHR to report on this to the Human Rights Council.